A small and very pleasant village located about two miles from Thorpe Le Soken and comprising of about 40 dwellings. 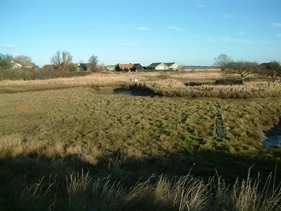 The rural surroundings to the village are very attractive and to the east of the village the land slopes away to afford superb coastal views over Hamford Water which is an area designated of outstanding natural beauty with protection from development by a coastal protection policy. At Beaumont Quay there is the remains of an old abandoned barge and a lime kiln which is no longer in use. From the Quay there is walks along the sea wall to Landermere Quay and then if you are very enthusiastic you can continue to Kirby Le Soken and beyond.